Suddenly and incredibly, you are eight! Alex, how our world changed when you were born on that bright Saturday afternoon, eight years ago. Among my favourite things is spying on you. Isn’t this funny? You and Max love spy games, but Dad loves spying on you. What do I see when you’re not looking, but I am? I see so much that makes me, and Mum proud. You’re funny and alert. Like a puppy, you play with creative energy. You love your friends, and they love you too. You like sharing stories, but listen when people tell you stuff too. For you, games and fun must be fair. You don’t like it if others are unkind to you, or those you care about. Because it’s important, you take a stand. This makes you a leader, and we love this about you. We’re on Koh Lanta. It’s a fresh, clean morning and the sky’s holiday blue. I’m on a sun lounge out the front of the resort, looking across the sparkling sea towards the Strait of Malacca. You and Max are on the flawless, golden sand. Buckets, spades, toys. Boys and brothers. Do you remember this? I watched you; long-limbed like a giraffe, and miraculous, as if born of the tropical sun itself. Did you see it Dad? Sure did. What’d you think? A momentary sight, but for us, stronger than two electrons in perpetual orbit. For someone as curious about nature and dangerous creatures as you, it’s a thrilling highlight of our three years in Asia. Last Friday, in the afternoon sunshine, you’re in your blue Strikers shirt and cricket cap. We’re at Glenelg Oval, and there’s plastic yellow stumps and kids, learning and playing, learning and playing. You’re batting. I’m on a bench by the boundary, spying on you. Again! The bowler pitches it on a good length, but outside the wicket. In a fluid, looping motion, you step into it, and swing the bat. It’s an on-drive, and possibly having seen an Australian cricketer like David Warner do this, you go down onto one knee. It’s cute, but also shows me how carefully you take in the details of your world, how keen you are to do your best and display some robust mastery. You stay low and hold your position, watching until, just in front of me, the ball jumps the rope. Your first boundary! Certainly a treasured event in many years of loving cricket. Now finally, back we travel, to 2008 when you’re only three months old. It’s May, Mothers’ Day; fetching and warm like a hug. We’re at Wattle Reserve, by the beach, with a picnic of olives, breads and dips, dolmades; unhurried food for a late autumn lunch. You’re there on the rug, in the breezy, timelessness. Smiling, blue eyes alert, enchanted. It’s a movie, a love song, our lifetime distilled. It’s a dreamlike afternoon. So, as you begin your ninth year, I wanted to find a few moments among the guitars and the bikes, the barbeques and the blur of the cruelly rushing weeks to reminisce on how astonishing our world became on that bright Saturday. The day you arrived; the gorgeous, clever, amazing gift of you, arrived. This island is a photocopier. Delivered and installed on a Monday, everyone gathers around in an uncomfortable semi-circle. However, the collating, duplexing, and high-end printing means we’re swiftly smitten. We ooh and aah. Then, the boss has a turn. Attempting a scan/sort/staple/wrong ‘un he messes it up spectacularly. They’re technologically exciting, doing whizzy things beyond the boundaries of your competence but, do you know what? You can’t love them. And photocopiers, I’ve discovered, don’t love you back. Ever. Within weeks, the most frightening phrase in English will blink onto the condescending screen. Then, the phantom paper jams start. I admire Singapore, but leave not having fallen in love. And it’s sad to not fall in love, because it’s the only place I’ve lived that’s not grabbed my full affection. Maybe in time it will. I know you shouldn’t compare siblings, but as our ferry bumped into the dock in Dover, I fell for England. Koh Lanta has the best beach I’ve seen. Long Beach. 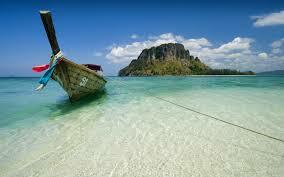 Flying into Krabi, it took nearly three hours to get there, but was worth it. When you go to a travel agency, take a booklet from the shelf, and gaze at the aquamarine ocean, flawless sand, and Thai beach resort, it’s Koh Lanta that you’re staring at. We were there in March, and every day I was on a lounge bed, with book and beer, gazing out at the shimmering water as our boys played by the gentle gulf. These are golden moments, and I know they’re as good as it gets. I know how lucky I am. Then, I thought about the fragility of beauty, and how infinitesimal our lives might be. Our boys began Auskick in Singapore. Suddenly, they were there, flopping about in their green and gold Sharks guersneys. Of course, the best, most instructive moments as a parent are those when you spy on your kids. Yes, they’re frequently appalling in your company, but maybe that’s the key function of the family. It’s the moments that we strive for; when you see them, getting it right, with nobody looking. We enjoy those. I was umpiring the adjacent game, and glanced over at the boys. In a wonderful, painterly scene they were holding hands. I was instantly teary. When I looked back a few minutes later Alex and Max were entirely indifferent to the crazy arc of the ball, and wrestling each other. And the next time Alex was on the ground chatting with his opponent, while Max had wandered off. He was putting an orange cone onto his head, as if Grand Master of a peculiar branch of the KKK. Like denying Warney cheese slices, living with two boys (and a wife and a helper) in a small apartment is cruel. It just is. Sometimes, we can’t adjust to our domestic environments. I now want harsh light, and space, and private greenery. I want to rush the boys out the back door, and to wheel my own bin out into the quiet Thursday street. Here in Singapore we swim daily, but are drowning in an obscenely overpriced jail cell. Now, the door’s open, and my harmonica’s in my back pocket. Pssst. Don’t tell anyone, but I’m anticipating my lawn back home as much as anyone. A Tim Winton enthusiast since university I bought Eyrie when home eighteen months back. I read his words hungrily. The protagonist, Tom Keely, is archetypal of the author’s males: in an emotional crisis of his own invention, and scrabbling destructively within his relationships. For me it was significant when Keely considered reaching out to his sister, living in Singapore. Singapore. The word zapped me. How exciting. Singapore. Frisson. Terrific that she lives in the Republic. What a plucky and daring soul. Then, the bizarrely delayed realisation. Wait a minute. I live there! We’re brave too. Despite the tropical location isn’t this just the dreary triangle of home, work, shops. Home, work, shops? Adelaidean suburbia, but hot and humid? Only if we let it. Why is it that our lives occasionally read better on paper than in their practical expression? There’s something incendiary in Winton’s single word that burnt me, and gave me some gruff underage footy coaching. Periodically, we all need some third person perspective. 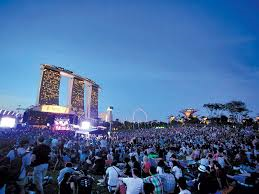 At the Meadow within Gardens by the Bay, in the sizzling sun, with Marina Bay Sands soaring over us, we stretch out on our blanket with Heineken pints, squinting, and drinking in Vance Joy’s sunny pop. Music festivals can remind you, somewhat savagely, of the youth that has now sprinted past you. But, the Laneway Festival in Singapore is among my highlights. Off we went. Each January. Thirty years ago we’d be thirty foot under water, but the land reclamation here is mind-blowing. The Raffles Hotel on Beach Street is now downtown and not seaside. The home of the Sling has been slung inland. The Laneway Festival is Australian, reaffirming, and vital. The wife pats me on the knee, and says, you know, this is not a bad life. Once taken, Europe’s an incurable drug. It’d been nine years since we climbed off Heathrow’s tarmac, and we’d often talked of the first country we’d take our boys. Italy? Greece? Spain? So, on a Saturday just before Christmas, we left Asia, stopped during the afternoon in North Africa, and then arrived in Europe that night. I love that I’m still a country kid who finds astonishment in this. Munich, and sleet slashed across the autobahn, battering our taxi. One day. Three continents, three time zones, three airline bread rolls. I’m grateful that life in Singapore made this possible. Our world shrinks, and shrinks. I remember the half hour journey from Kapunda to Robertstown for boyhood football, standing huge and preternaturally hairy man-childs, and cold showers and colder pasties. It was to venture to the edge of the world. But now, clinging to the equator ahead of my departure I see how small the infinite country of Australia is. Many argue nostalgia’s the memory of childhood food. 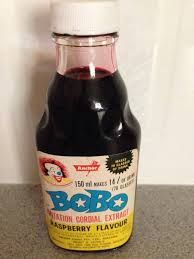 Today my mind’s swirling with images of Mum’s sausage rolls, tuna mornay topped with cheese, and plastic cups of Bobo cordial. 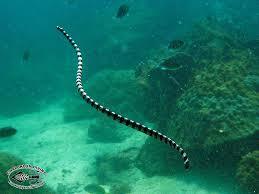 Alex and I each wrote a poem about our encounter with a sea snake in Thailand. We talked about the snake, and then wrote some notes on the plane trip home. Here they are!